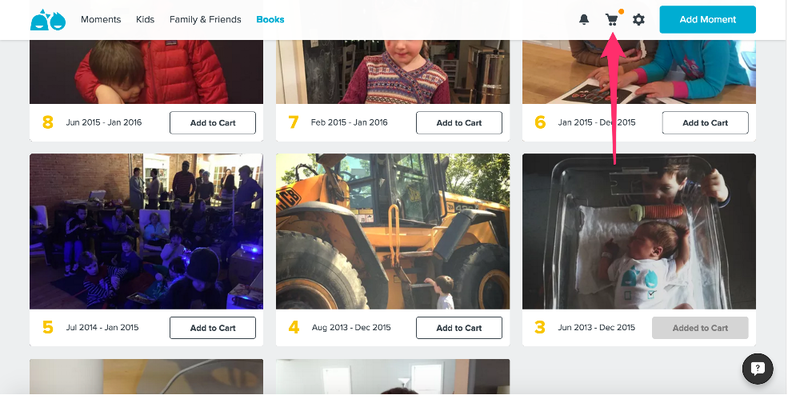 You can print any of your completed books at any time by adding them to your cart and checking out. 1. 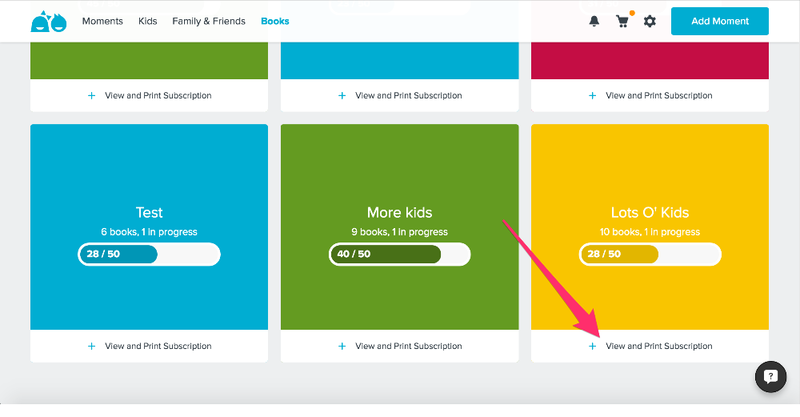 On the "Books" page, choose the appropriate subscription by clicking "View and Print Subscription." 2. Find the book you would like to purchase, and click the "Add to Cart" button. 1. 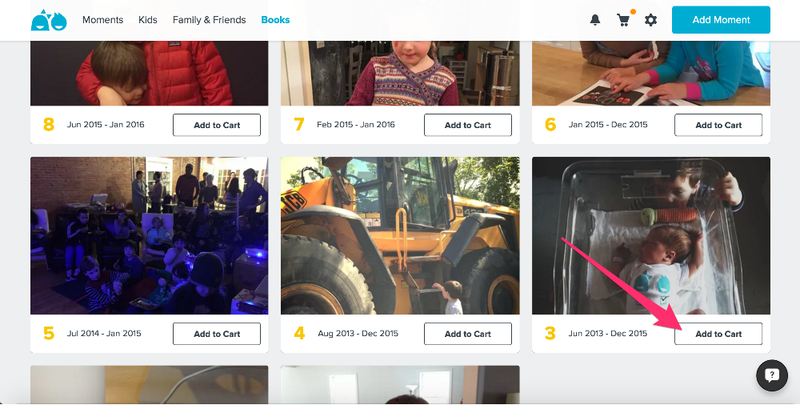 Click on the shopping cart icon at the top right of your screen. 2. Click the "Checkout" button.